You are here: Home / Gear + Supplies / Having Trouble Finding Hunting Boots Cause Your Feet Are Too Wide Or Narrow? Having Trouble Finding Hunting Boots Cause Your Feet Are Too Wide Or Narrow? When you go hunting in rough terrain you definitely need a good pair of boots, no matter how wide or narrow your feet are. To help you find the perfect pair of boots for your feet, below we have reviewed several of the best hunting boots for both wide and narrow feet, and highlighted the pros and cons of each pair. We have also included a Hunting Boot Buying Guide, in which we will highlight some of the features and factors to consider when shopping for a good pair of hunting boots. 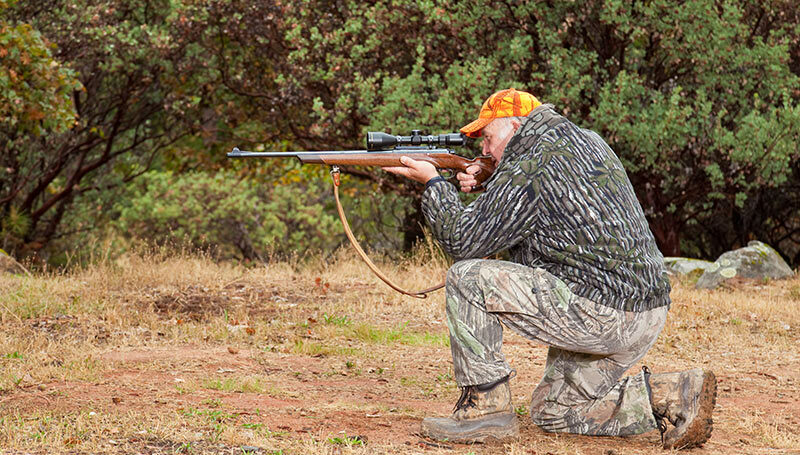 Quick Answer: What are the best hunting boots for wide and narrow feet? When it’s time to get a good pair of hunting boots, there are several features and factors to consider. To assist you, below we have listed just a few of those considerations. As you can see from our varied reviews above, hunting boots come in a variety of sizes and types. These sizes go beyond the length of the boot; they also cover the width. A good-fitting boot is one that feels comfortable on your feet, without any pinching on the toe, slipping on the heel, and one that cradles your foot from the sides. Therefore, when purchasing your next pair of hunting boots, you should definitely keep in mind the amount of walking you will have to do in them, and buy a boot only after you have tried it on and walked in it for a while to ensure a good fit. And when trying them on, be sure to wear the same types of socks that you would normally wear on your hunting excursions. What is your main purpose for buying hunting boots? The function for which you plan to use your boots will help you decide which type to buy. For example, upland boots are more like hiking boots. They are very comfortable and will allow you to walk great distances. High country boots are usually insulated for cold temperatures and are much more rugged than upland boots. Finally, rain boots are perfect for when water and moisture will be in play, such as in rainy seasons or when walking through rivers and marshes. How tall should your next pair of hunting boots be? That depends on the type of hunting you plan to do and where you plan to do it. If you plan to hunt ducks and geese, for example, the type of hunting in which you may have to wade through water to stalk or retrieve your prey, you are definitely going to want a taller pair of boots, one that will keep your feet dry. If you are going to be hunting in mountain terrain, over rocks and other rough areas, a shorter hunting boot may be more comfortable. What is the primary season in which you hunt? If you plan to hunt in the winter months, you will certainly need a pair of boots that is well insulated. On the other hand, boots that are insulated and rated for very cold weather may get too hot on your feet if you intend to go hunting during the summertime. Regardless of where and when you hunt, we strongly recommend that you choose a hunting boot that is waterproof. Waterproof hunting boots will protect your feet from rivers, lakes and other water sources, and they are perfect to wear in rainy or snowy conditions, protecting the material from which your boots are made from the often punishing effects of water. The soles of your boot, despite where you hunt, are the parts that take the brunt of the punishment when you are out stalking prey. Thus, if you plan to hunt heavy, meaning if you plan to hunt with a heavy backpack or gear bag, you should consider a sole that is both thick and stiff, one that can withstand the pounding. If you intend to hunt light, you can probably get away with a thinner, more comfortable sole, provided you get a pair of boots with good arch supports designed for walking long distances. Finally, how often do you plan to hunt? This is an important question that goes to the heart of our next category: durability. Hunting boots can be rather pricey, especially the ones that are designed for heavy walking. Therefore, if you plan to hunt a lot, it might be worth the extra cost to buy a pair that is truly durable. To determine this durability, it’s important that you read a number of independent reviews from hunters who have tried the boots you plan to buy and had good results. Made from 100 percent leather and synthetic materials, the classic SOREL Men’s Caribou Boot features a nubuck upper, removable felt liner, and Sherpa snow collar, making it the perfect boot for all seasons. The boots have a rubber sole, a shaft that measures roughly 10-3/4 inches from the arch, and a heel that stands about 1.25 inches, allowing it to traverse even the toughest of terrains. The boots, which are rated to -40 degrees F, are ideal for winter hunters in very cold climates. The SOREL Men’s Caribou Boot is available in a variety of sizes, including EEEE for those individuals with very wide feet. Cold weather rated. The SOREL Men’s Caribou Boot can help your feet withstand temperatures up to -40 degrees F, making it perfect for colder climates. Water wicking and sturdy sole. The rubber sole wicks away water and slush, while the heavy lugged sole ensures each step is secure and falter-free. Great for individuals with wide feet. Because the SOREL Men’s Caribou Boot is available in sizes up to EEEE, it is perfect for hunters with wide feet. Can get hot. Although the SOREL Men’s Caribou Boot is the perfect winter boot, it may cause the feet to get hot when hunting in the summer. Featuring a durable hand-lasted rubber with four-way-stretch inner bootie, the Bogs Men’s Classic High No Handle Waterproof Insulated Rain Boot is 100 percent waterproof. The boot is perfect for duck and geese hunters who must regularly traverse through swampy areas and marshes; and with a shaft measuring roughly 12 inches from the arch the boots are very comfortable to wear all day. Made from a combination of vulcanized rubber and neoprene, the boots are lined with the patented Bogs Max-Wick, which helps to move sweat away from your foot to keep it dry in all conditions. Waterproof. The Bogs Men’s Classic High No Handle Waterproof Insulated Rain Boot is completely waterproof. Easy to remove. Thanks to the integrated heel kick, it is very easy to remove these high profile boots. Non-slip sole. The non-slip sole on the Bogs Men’s Classic High No Handle Waterproof Insulated Rain Boot allows hunters to trek their prey anywhere with the utmost of confidence. Not recommended for long treks. Because of the makeup and high profile of this boot, it is not recommended for long treks outside of watery conditions. May restrict movement. The extra height of the Bogs Men’s Classic High No Handle Waterproof Insulated Rain Boot can perhaps restrict movement. Made from 100 percent synthetic materials and featuring a rubber sole, the Irish Setter Men’s 2870 Vaprtrek Hunting Boot is the perfect boot for hunters with narrow feet. The lightweight, ankle high hunting boot offers the best in terms of freedom of movement, and the integrated ScentBan scent control helps to control odors that might otherwise alert your prey that you are near. Designed in a camouflage material, these boots help you blend into your surroundings; and the UltraDry waterproofing system is guaranteed to keep your feet warm and dry throughout the hunt. Comfortable and durable. Thanks to the RPM composite technology, the Irish Setter Men’s 2870 Vaprtrek Hunting Boot helps to reduce weight without sacrificing comfort or durability. Waterproof. The moisture management system in these boots helps to keep your feet forever dry. ScentBan technology. The ScentBan technology helps to reduce odors and bacteria in the Irish Setter Men’s 2870 Vaprtrek Hunting Boot. Not rated for cold. Although good for upland hunting, the Irish Setter Men’s 2870 Vaprtrek Hunting Boot is not exactly a cold-weather boot. Extremely rugged and durable, the Kenetrek Mountain Extreme Non-Insulated Hiking Boot features 10-inch tall leather uppers that are made from 2.8 millimeter full-grain leather. Even more, the double and triple stitching found throughout this boot gives it added durability and longevity despite the terrain. The boot features a custom K-Talon Outsole that provides excellent grip and traction; and the 7 millimeter nylon midsole offers a solid foundation for extra support and stability. Insulated. The insulated Kenetrek Mountain Extreme Non-Insulated Hiking Boot will keep your feet warm in cold conditions. Durable. Made entirely from leather, this is one of the most durable boots on the market today. Prevents ankle slipping. The firm upper on this boot provides a perfect fit while keeping the ankle stiff. May restrict movement. Like the Bogs rain boot, the high profile of the Kenetrek Mountain Extreme Non-Insulated Hiking Boot may restrict movement. Not budget-friendly. This is probably not the boot for the budget-conscious hunter. To give you a quick recap and easy comparison, check out the chart below for a look at our favorite hunting boots on the market right now. We know how difficult it can be to find a good pair of boots that fit your wide or narrow feet just right, which is why our editors highly recommend the four models listed above.